Dalton Spencer(sr.) and Grant Kessinger(fr.) have qualified to run at the state track meet at Eastern Illinois University this Friday. Dalton qualified in the 300-meter intermediate hurdles (2nd place @ 40.74 sec) and the 110-meter high hurdles (1st place @ 15.48 sec) at the Dunlap Sectional last Thursday night. Grant qualified in the 400 meter dash (2nd place @ 51.41). Both athletes have their sights set on taking down school records. 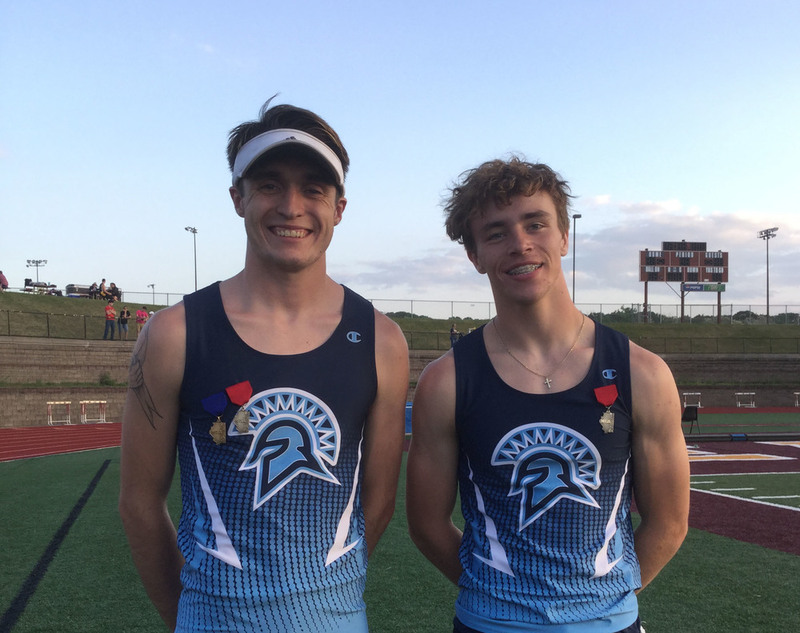 Dalton is focused on the 300 meter record of 40.06 that is currently held by Levi Litwiller while Grant is hoping to replace the 400 meter dash record of 50.3 that is currently held by John Neisler. On Friday, the top 9 athletes in each of these events will advance to compete in the State Finals on Saturday. Best of luck to both of you!